Greece - This week IOM Greece recorded the highest migration inflows since the beginning of 2015. Despite deteriorating weather conditions, approximately 48,000 refugees and migrants crossed from Turkey to the Greek islands – or about 9,600 migrants and refugees in each of the past five days. The influx has left many local authorities unprepared. The island of Lesvos continues to receive the highest percentage of refugees and migrants. Some 27,276 reached the island during the period, while 9,750 arrived in Chios. Chios, which was only receiving some 300 migrants a day during the peak summer period, last week saw numbers rise to some 2,000 a day. With the growing number of arrivals, there have also been a growing number of deaths at sea, according to IOM Greece staff. 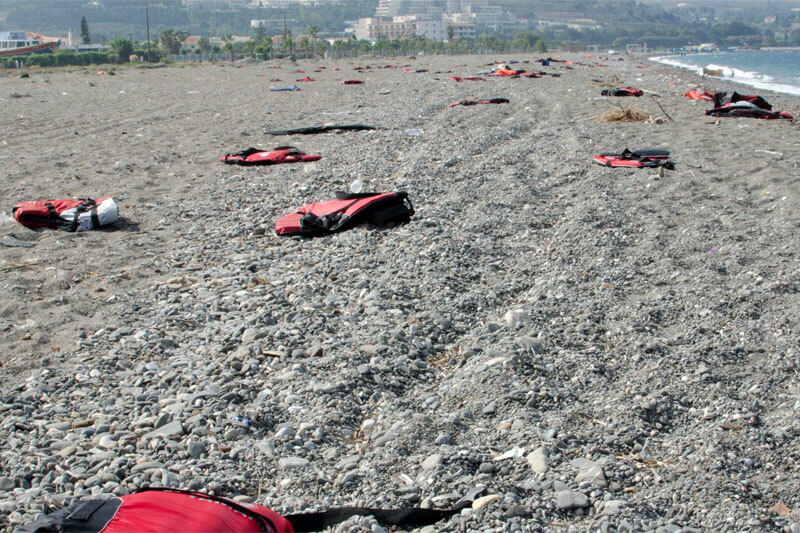 Since Monday (19/10), 18 migrants are believed to have lost their lives in two incidents – one on October 19th off the coast of Megisti, the other on October 21st off the coast of Samos. In the shipwreck off Samos, the Hellenic Coast Guard rescued a 32-year-old Syrian, but 14 others, including his wife, two children and other relatives are missing, believed drowned. Meanwhile in Italy, so far in the month of October a total of 7,447 migrants have been rescued at sea in the Channel of Sicily. No deaths have been recorded since eight bodies (seven women; one man) were shipped on Monday into Taranto, brought by the Spanish ship Rio Segura, which carried another 633 survivors. Authorities discovered the eight victims in a rubber dinghy carrying 113 migrants. Their cause of death remains unknown. All numbers are minimum estimates. Arrivals estimates based on data from respective governments and IOM field offices. *Data for Greece are derived by the new and updated data collected by IOM Regional Staff in Greece and Greek authorities (1/1/2015 – 20/10/2015). Numbers are not the actual daily arrivals but the number of migrants who have officially been recorded by the Greek authorities after their arrival.